There’s a new Sims 4 PC update available via Origin. 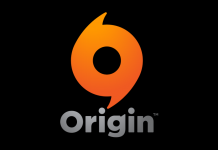 If you have auto updates enabled in “Application Settings”, the game will auto-update once you open Origin. If you have auto-updates disabled, you will need to manually update by clicking the game in your library. To ensure your game is up to date, check the game version found in Documents > EA > The Sims 4 > GameVersion.txt. Your game should now read: PC 1.47.49.1020 / Mac 1.47.49.1220. 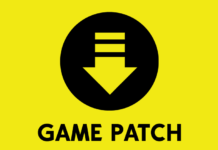 If you’ve updated but it’s not showing the correct version, delete the GameVersion.txt file, restart, and all will be corrected. 1) “Ideal Mood” has been removed from career progression for non-active careers. You can send your Sim to work in any positive emotion to help increase your Sim’s job performance. 2) We’ve added the following social media interactions to the phone: Update Social Media Status, Check Total Followers, Check Social Media Timeline, and Add to Simstagram Story. In addition, photos have a new Upload to Simstagram interaction. Terrain tools. Say it again. Terrain. Tools. Again! TERRAIN TOOLS! They’re here! You can now build hills or dig ditches on your lot to your heart’s content. Your creative capabilities just received a massive boost, so get building! In Build Mode, simply navigate to where Terrain Paints previously existed, and click the shovel to get started. Need additional guidance? A new Build Mode lesson on Terrain Manipulation is available in-game to help explain the new tools step by step. Previously, every building on a lot had to share the same foundation height. With today’s update, buildings that aren’t connected to each other can now have different foundation heights, or some may have no foundation at all! We’ve also updated how you adjust the height your building’s foundation. Simply select any room and grab the new widget that appears in the center. By dragging it up or down you’ll find that it’s not only easier to use, but it’ll allow you to create buildings that soar to previously unattainable heights, or structures that are sunk down into the ground. Were two basement levels two too few? You’re in luck; we’ve added two more! You can now build basements underneath your lot four levels deep. We’ve added two more Half Wall heights. There’s the “Tall Half Wall – Medium Wall” and the “Tall Half Wall – Tall Wall”. Say that three times fast. What it really means, is that if you’re creating a building that uses Medium or Tall walls, these new Half-Walls will be perfect if you want walls that stop just short of the ceiling. Getting philosophical for a moment… can these truly be called “Half Walls”? Maybe we should have called them “Partial Walls”. Ever wondered how your Sims view the world? Now you can play The Sims through their own eyes! It’s something you truly have to see to believe. The controls listed here provide everything you need to get started. Enter/Exit First Person Camera mode. Select the other side of doorways, walls, and floors. Allows traversal between rooms or across different floors. Control the mouse cursor while in First Person Camera. Move your view around, separate from where your Sim is currently looking. Snap the camera back to where your Sim is looking. Terrain tools, a first person camera, and a new career?! You’re one lucky Simmer! Starting today you can live your fashionable Sim’s best possible life in the new Style Influencer career. You’ll start off small by observing fads and reporting on the latest trends, but it won’t be long before you’re defining new looks that are worn by Sims all around town, or giving makeovers to help other Sims look on fleek. The sketchpad is perfect for the artist on the go. Not only can you draw quick sketches when inspiration strikes, but it acts as a pocket canvas for painters. It’s the simplest way to go out into the world and create beautiful masterpieces that can be printed and hung on your wall. Sims with level 2 Painting Skill can use the sketchpad to create a wide variety of new art. You’ll find it under the Illustrative Painting interaction on the sketchpad. The style-board is your Sims’ collage of inspirational material. A collection of sketches, photos, patterns, and material comes to life as your Sim is influenced by the world around them. As your Sim refines their own personal style, the style-board can be updated to reflect the current looks you’re working to create. *Some of these pieces require progressing in the Style Influencer career before they unlock. And while we’re being so fashion forward, we also went ahead and added a brand new dresser to store these clothes in, and a new wall mirror to admire your trendy outfits in. Millie Bobby Brown has arrived in The Sims world to challenge your Sims to complete the Positivity Challenge! This limited time event is active right now, but won’t be around forever… You have until December 4th, 2018 to participate. Simply use your Sim’s phone to call the Event Coordinator (surprise, it’s Millie Bobby Brown), and she’ll provide everything you need to start making your Sim’s neighborhood a better place for everyone. By issuing a positivity challenge, you’ll unlock a brand new aspiration for your Sim. Various rewards are up for grabs with each tier of the aspiration you complete, culminating in a powerful new Kindness Ambassador trait bestowed by Millie Bobby Brown herself. Has your Sim ever experienced the awkward situation of having to say they’re unemployed, when in reality they’re leading a financially successful lifestyle? Perhaps they run their own retail store? Or maybe they’re the proprietor of a grueling painting factory, selling mass-produced artwork for maximum profit (let’s be honest, we’ve all been there before.) Now you can name and describe their job title, so that each and every Sims’ money-making scheme will get the recognition it deserves. Simply use your Sim’s phone to Register with the Ministry of Labor, and type in whatever suits you. We’ve added something that we call a “First Time User Experience” to the game. If you want to sound in the know, you can pronounce this as fuh-too-ey in casual conversations with your friends. Really, it’s a fancy way of saying that we created a completely new tutorial for new players. If you’re reading these patch notes, this feature probably isn’t for you. That said, if you’d like to experience the dulcet tones of actress and comedian Jessica Williams explaining how to play The Sims 4, then we invite you to give it a try. We’ve made some changes to the layout of user profiles on the gallery. Each player’s profile now has four large images that cycle through the content that they’ve uploaded. Content from other players that you’ve favorited no longer appears in your own profile feed. Finding content from other players that you’ve favorited can be done by going to your profile page, clicking on “View Catalog”, and then changing the “View Content By:” filter to “My Favorites”. There’s a new “Show Whims” option in the Gameplay Options menu that allows you to enable or disable whims… at your whim. To help manage all of the information stored within the Simology panel, individual sections of this panel are now collapsible and expandable. This allows you to curate the information on display to only show what’s currently important to you. The Relationship panel has a new filter that allows you to see just your Coworkers.